If you’re not a regular flosser, then you are unaware of the utterly satisfying pleasure of thoroughly digging out the food and gunk that has accumulated in between your teeth after a day of eating. Just brushing your teeth is not enough to clean your mouth completely. And here’s a secret: dentists and hygienists know when you’ve been flossing and when you haven’t. It is not possible to hide gums that are conditioned to accept floss and gums that react violently to a flossing after months of not experiencing the action. Don’t be embarrassed at your next dental exam and teeth cleaning: floss daily for a healthier, cleaner, and odor-free smile. Nothing removes the plaque between your teeth and under your gums as effectively as flossing. Biomimetic dental treatments are designed to manage oral health problems in ways that mimic natural teeth as closely as possible. Preserving the tooth’s natural material and structure is the priority of biomimetic dentists. Biomimetic repairs make teeth stronger, protect them from bacteria, and improve the longevity of teeth. Flossing, it then follows, is also important to the biomimetic dentist. Anything a patient can do to improve their oral health and minimize their chances of developing dental problems means fewer restorative dentistry repairs that need to be completed to fix any issues. Not flossing makes you that much more susceptible to tooth decay and gum disease. Some people mistakenly believe that brushing harder and more vigorously will make up for skipping flossing or missing regular preventive care appointments at your biomimetic dentist. These actions, however, can lead to other problems, like gum recession, which leaves more of the tooth exposed to bacteria and increases your chances for tooth decay and the development of gum disease. Obviously, the more bacteria and plaque that stays on your teeth, the more likely enamel is to be worn away and cavities to develop. If tooth decay becomes serious enough, teeth can develop more than cavities. Gum disease could be the result. If allowed to fester, a mild case of gingivitis and inflamed gums can turn into full-blow periodontal disease where teeth become loose in their sockets and are eventually lost. Your gums support your teeth. And the gums also protect tooth roots from debris and harmful bacteria. Flossing cleanses the soft tissue along with brushing and keeps your mouth and teeth healthy. Dental sealants are another way to keep bacteria at bay – though it is not a substitute for flossing. The sealants are often recommended for children as soon as their permanent teeth erupt. The sealants are a powerful preventive measure that help protect the enamel on the chewing surfaces of the teeth from developing any tooth decay. 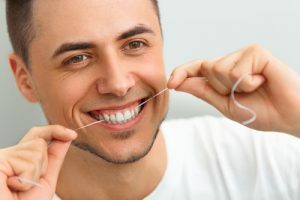 Learn more about flossing, dental sealants, and your risks for developing gum disease or gum recession from your biomimetic dentists in Moorestown, NJ. 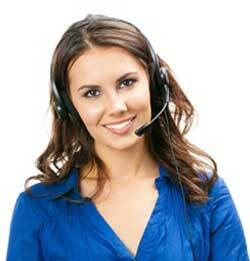 Contact us today for an appointment.